Relocating? Learn about Danville Indiana. 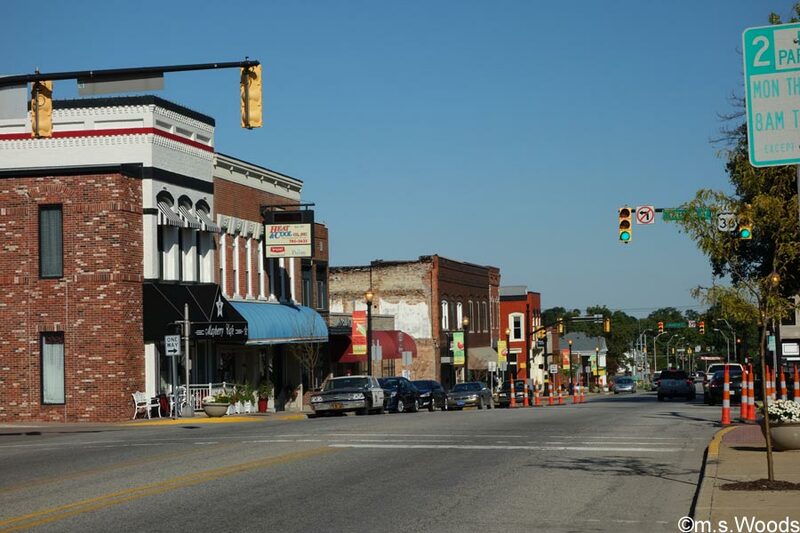 Perhaps the official town motto best sums up this small town of just 9,000 residents: “A great place to spend an hour or a lifetime.” Danville, Indiana offers a true, small-town experience, combined with all the advantages of being located right next to a major metropolitan area. 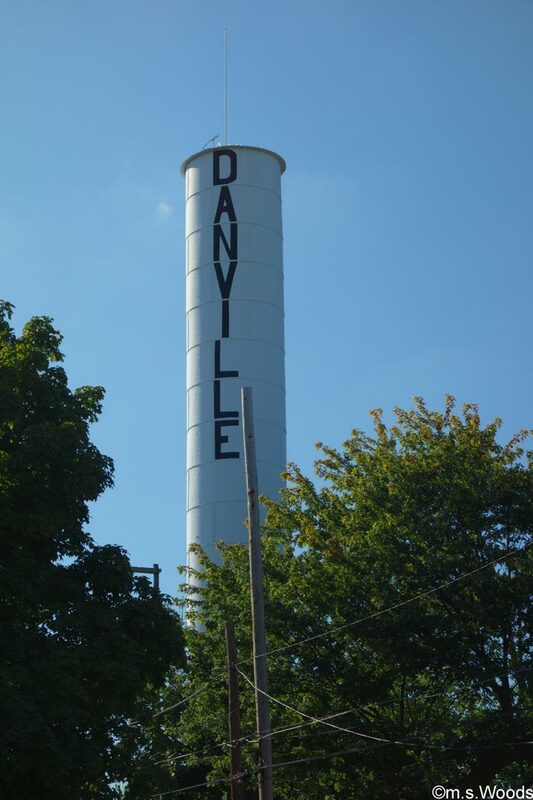 Danville is located immediately west of Avon, Indiana, and just 20 minutes from downtown Indianapolis. 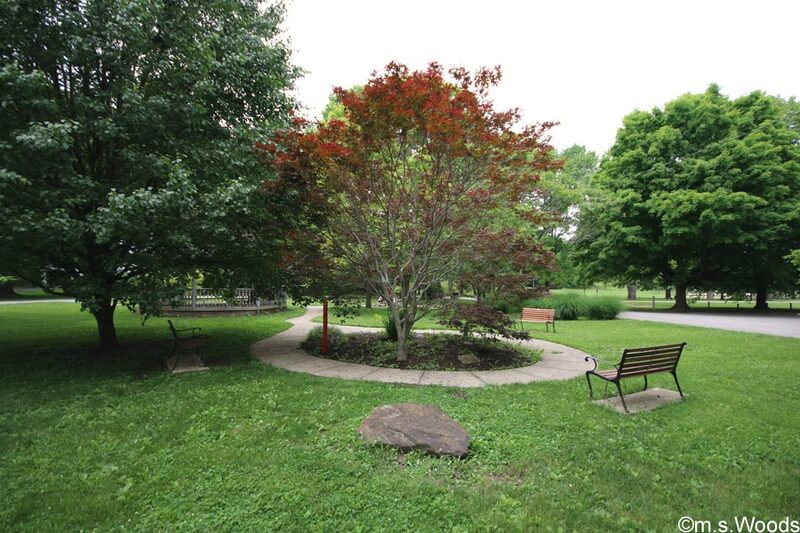 It is a popular place to visit among Indianapolis residents in search of the occasional escape from the hustle and bustle of city life. But for town locals, Danville is more than a weekend escape, it’s a way of life. Known for it’s excellent schools, historic downtown and small community values, Danville has become an increasingly sought-after place for home buyers in search of the quintessential “small-town” quality of life. For such a small town, Danville offers a surprising number of fun things to see and do. 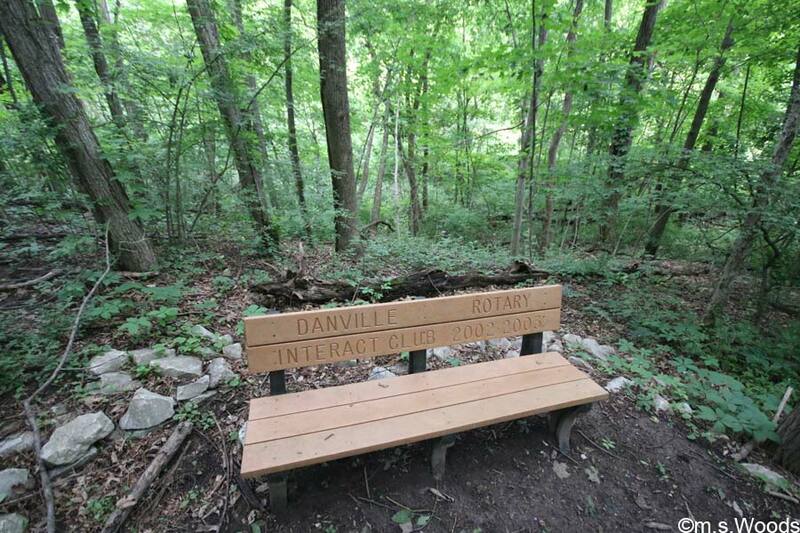 Here is a list of some of the more popular attractions in Danville. 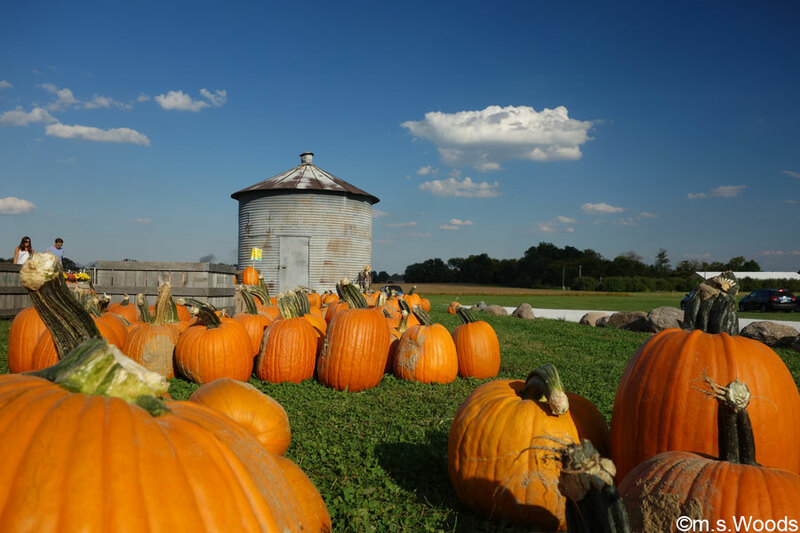 Located at 2304 E Main Street in Danville, Beasley’s Orchard is one of the hidden gems of the west side, and a go-to place in the fall, with it’s pick-your-own pumpkins and tours of the orchard and mazes. 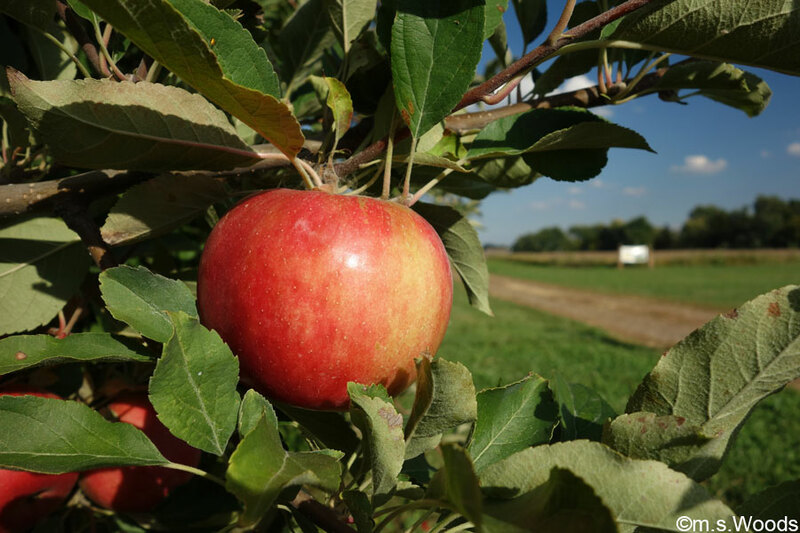 If you love apples, cider, pumpkins, hay bales, corn mazes, wine, stew, and chili, you’ll love the “Heartland Apple Festival” which takes place every year at Beasley’s in October. Hayrides are also offered every weekend in October. 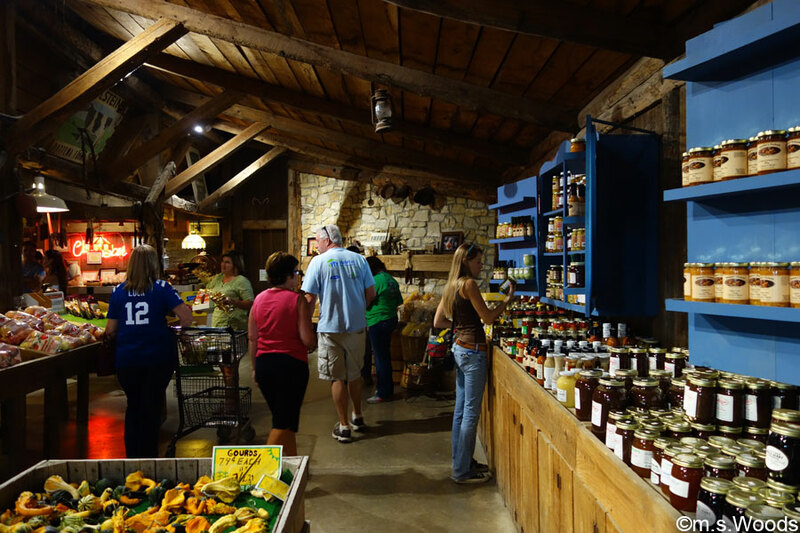 In addition to being THE place to go for fresh apple cider, the shop is full of great gift ideas, jams, jellies, produce, and fresh bakery items. 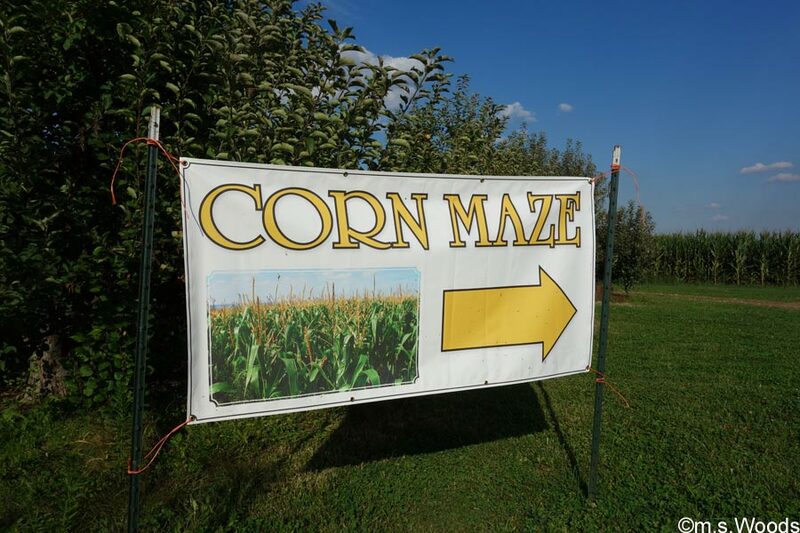 This corn maze is a fun maze pattern planted into a corn field, which presents a series of markers throughout the maze. At each marker, guests answer a question on a sheet that is provided at the maze entrance, and if answered correctly, they are given a shorter direction through the maze. And since there are 4 miles of trails through the maze, answering correctly can make a big difference! 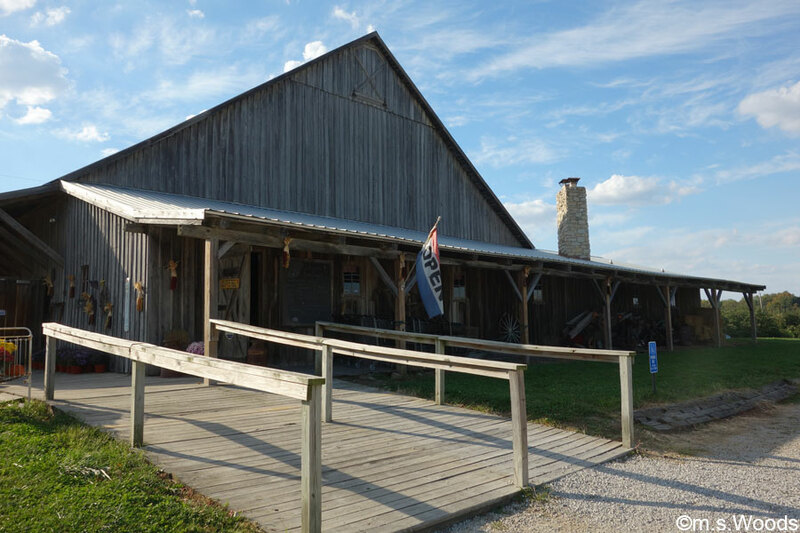 Beasley’s Orchard was founded in 1946 by Milton and Irene Beasley, who raised hogs, cattle and chickens on the farm. The family also enjoyed gardening and tending a small apple orchard. The Blanton House is located at 625 N Washington Street in Danville. 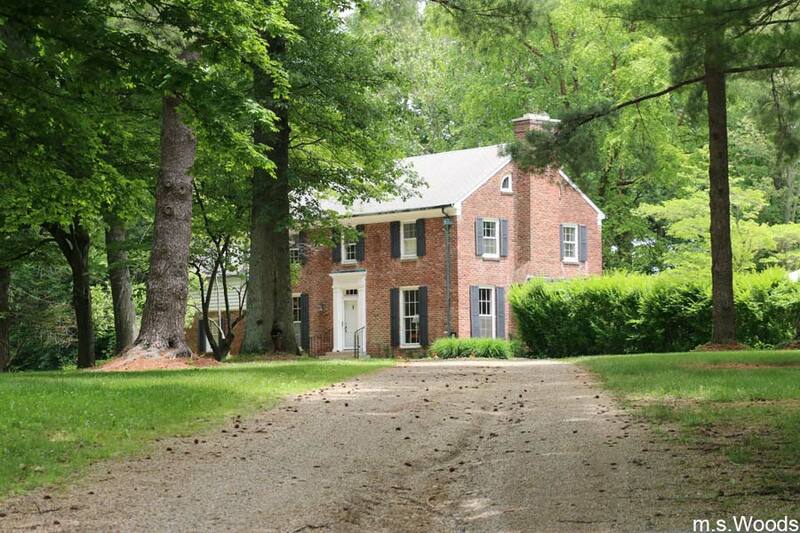 The town of Danville bought this historic home in 2001, along with 20 acres of land that make up the Blanton Woods. It is an elegant Georgian Colonial Style mansion, full of superb craftsmanship and old world charm. 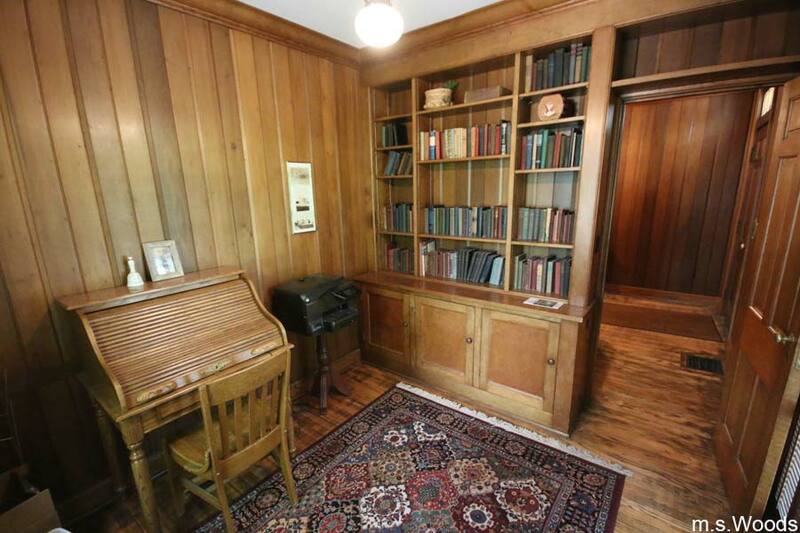 Various historic aspects of the home have been preserved on the inside, like the reading room (pictured above), which features an antique desk, a phonograph machine, and a collection of books in a built-in book case. 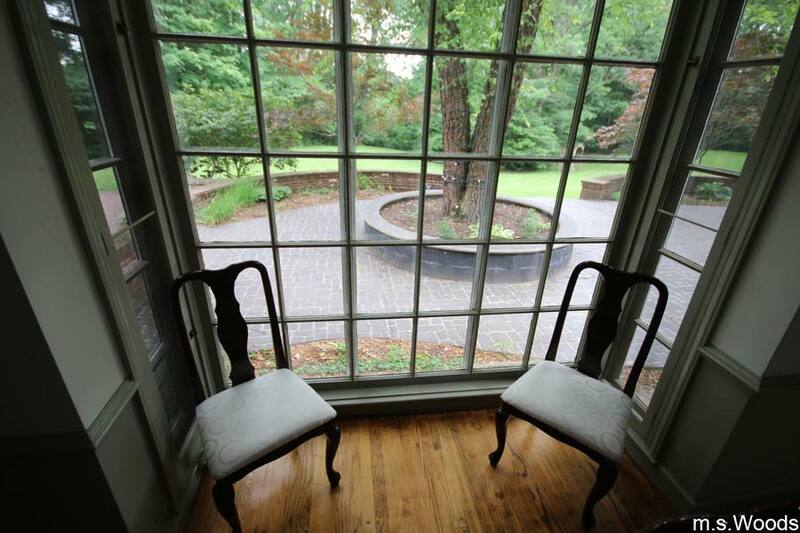 Two elegant chairs sit before the gorgeous bay windows. 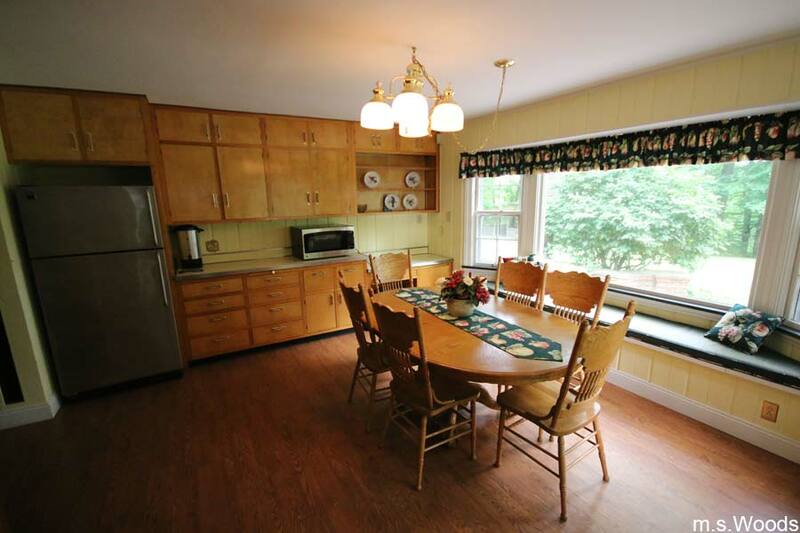 A fully functional kitchen is available for special events which are booked in the home. The back yard can accommodate large events, like weddings, receptions, family reunions and graduation ceremonies. Blanton Woods sits on 20 acres of lush, wooded land which, together with the Blanton House, were purchased by the town of Danville in 2001. 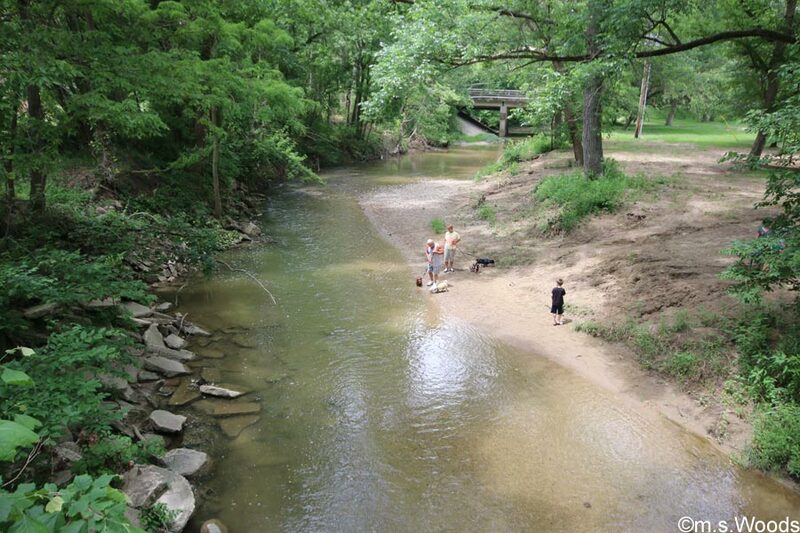 Blanton Woods woods offers a serene, wooded sanctuary that is perfect for taking a stroll, or just quiet reflection. 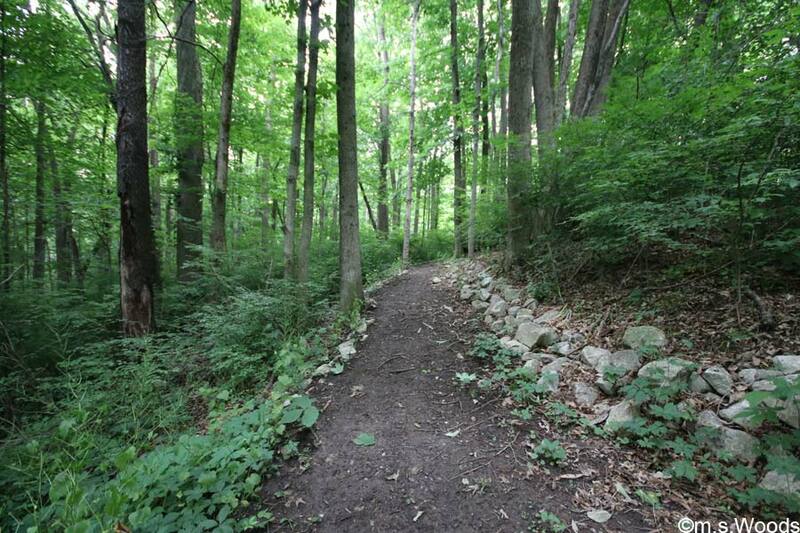 The woods connect to Ellis Park, which offers an additional 73 acres of untouched deciduous forest. 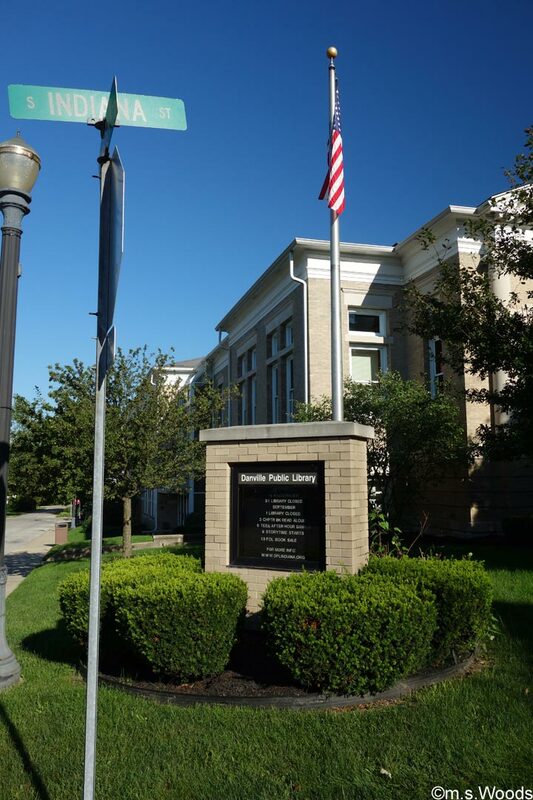 Located at 101 S Indiana Street, the Danville Public Library is not only a rich source of knowledge, but an historic destination in its own right. 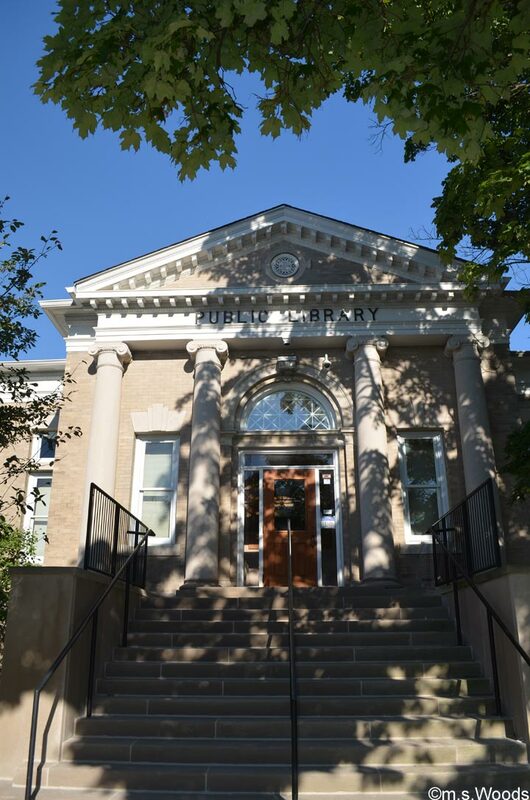 Built in 1903, it is among the libraries funded through the Carnegie Foundation, also known as Carnegie Libraries. It’s a beautiful building to behold, with its neoclassical columns and cornices. 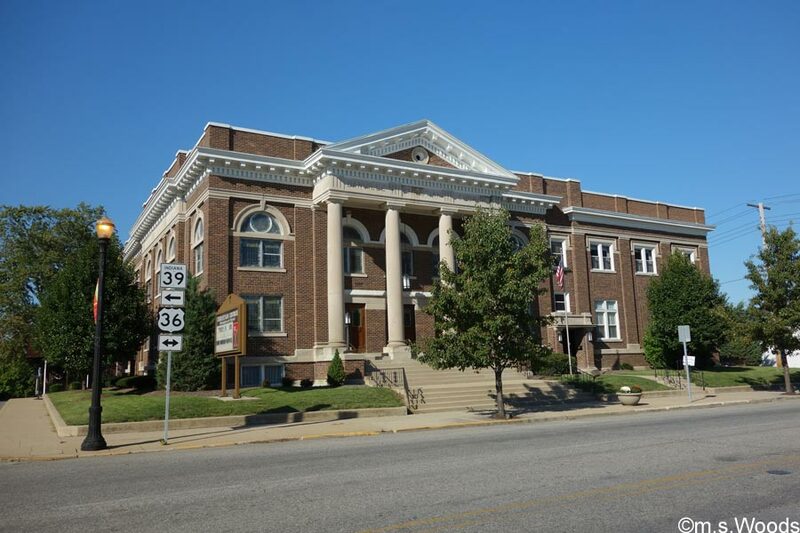 The library houses numerous historic records, books and documents of significance to the city, county and state. Included in its substantial collection are several biographies, autobiographies, and books written by Indiana writers. The library also holds a collection of genealogical documents, census records, and a host of other historic documents. Located at 600 E Main Street in Danville, Ellis Park is the flagship park of the town of Danville. 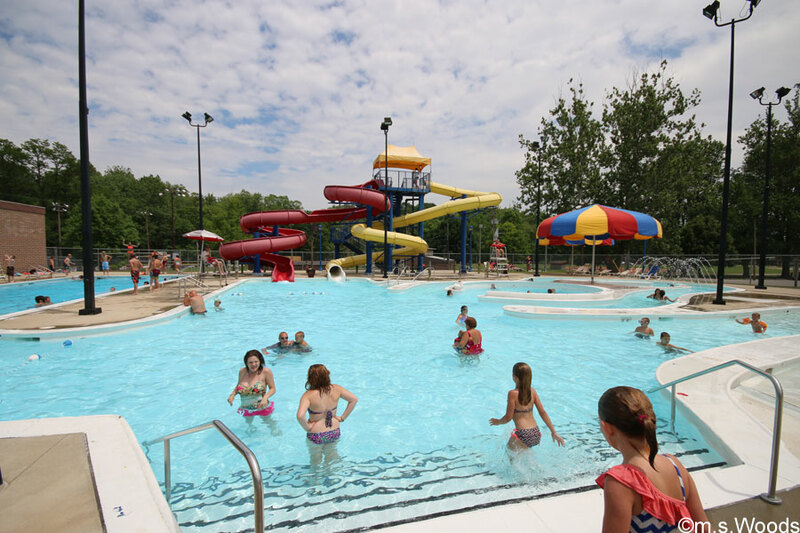 It is also home to the immensely popular Gil Family Aquatic Center. 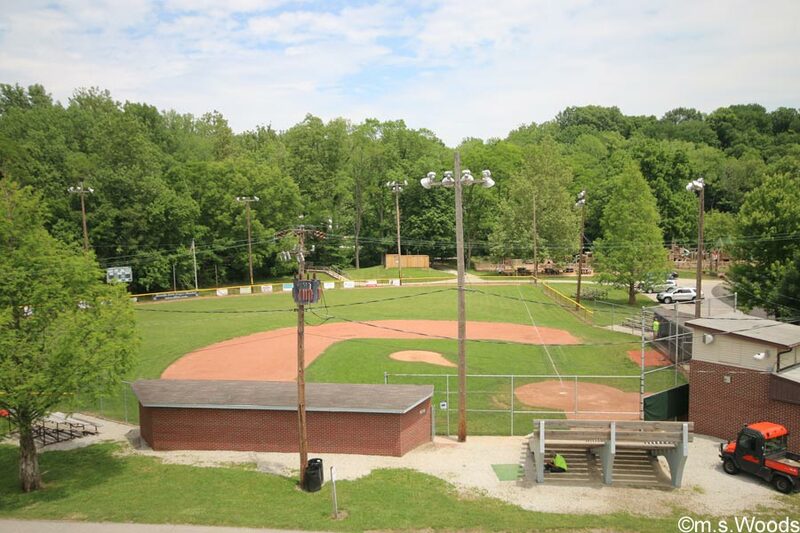 Ellis park features a number of amenities, including both, baseball and softball diamonds; football and soccer fields; basketball courts, a sledding hill and much more. The PlayScape play area was built in 1998 by the group known as “Friends of the Park”. 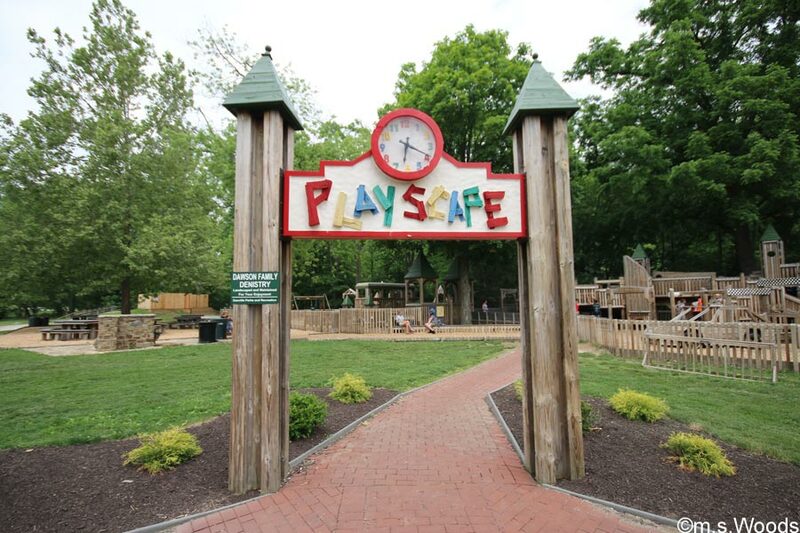 This sprawling playground offers a variety of fun challenges designed to test kids’ motor skills AND imagination. It is one of 3 playgrounds in the park. An amphitheater is available for live performances. 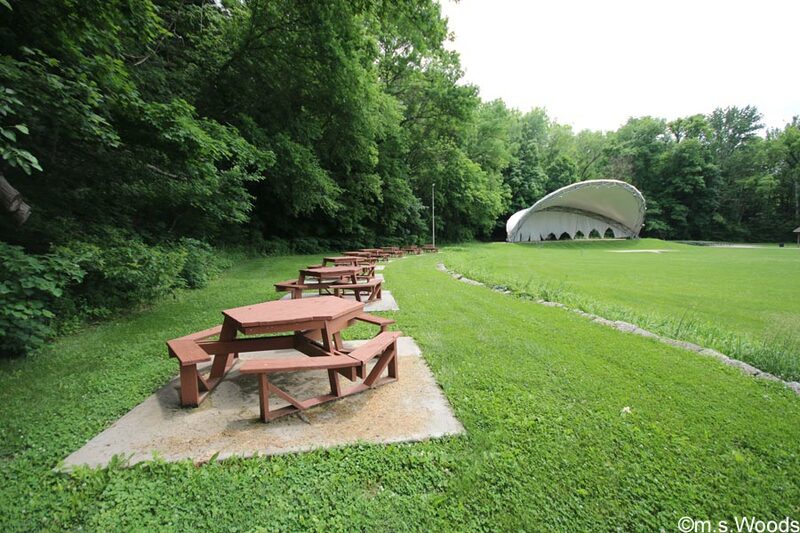 The venue offers a large gathering space with plenty of green grass, and a row of picnic tables, perfect for evening diners with live entertainment. 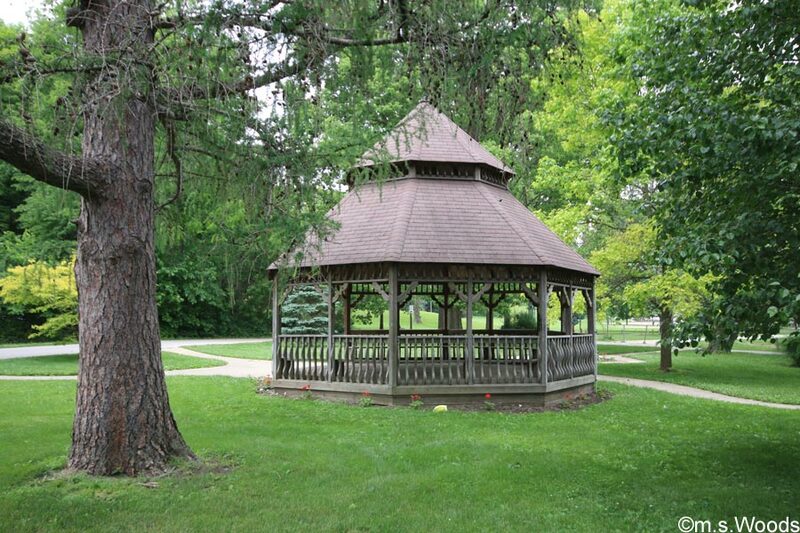 The Rotary Gazebo functions as a trail head for the park, and contains a map of all the parks, two benches, and a water fountain. Shelter House 2 is a 60′ x 40′ covered shelter house equipped with electricity and picnic tables. 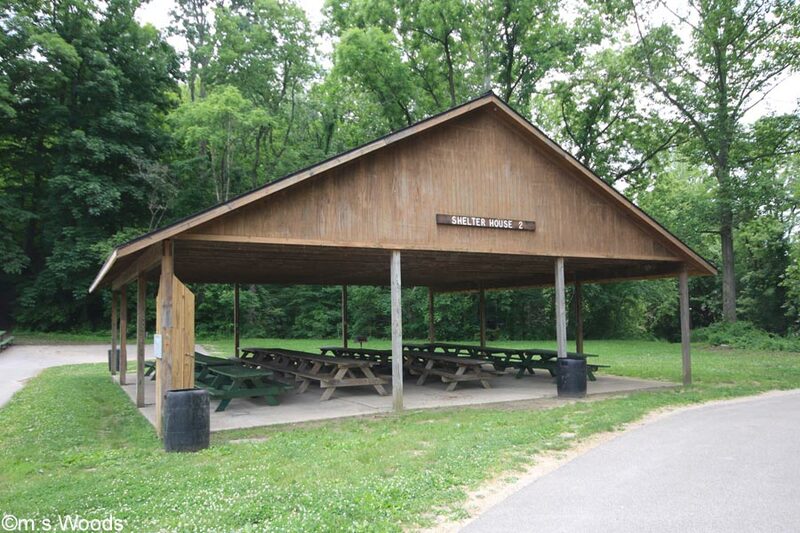 It’s not far from Shelter House 1, which is measures 40′ x 70′ and is also equipped with electricity and picnic tables. Several park benches can be found throughout the park, and are accessible via an extensive walkway that cuts through the park. 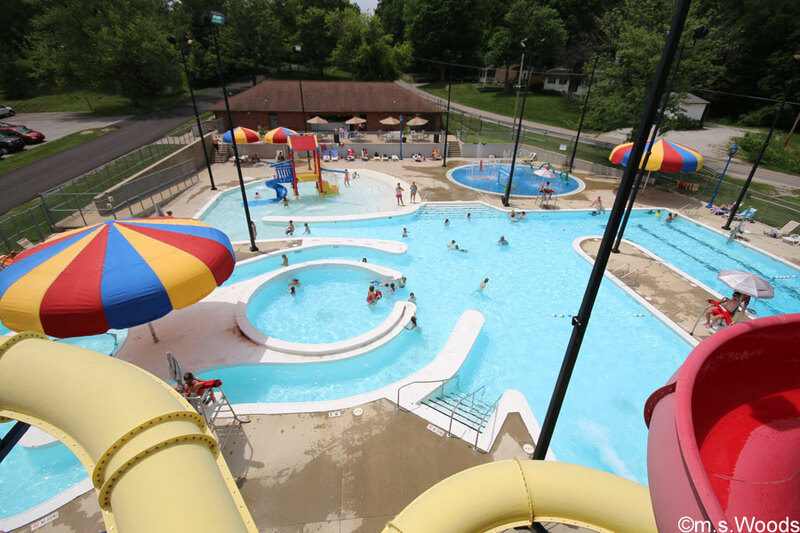 Located at 49 N Wayne St. in Danville, Gil Family Aquatic Center is one of the most popular places to be in the summer months. 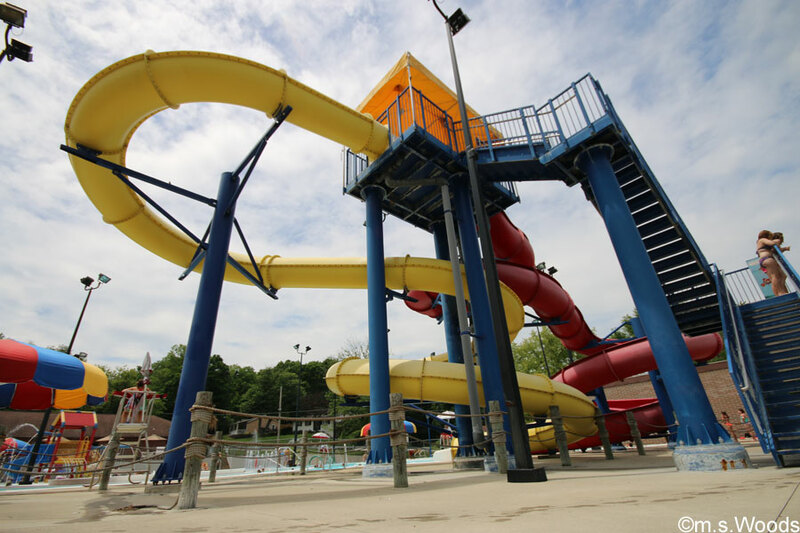 The park is a great place to bring the kids, and offers several amenities like a lazy river, hydrotherapy, and even a water vortex. The zero depth entry end of the pool is a feature that is very much appreciated by “vertically challenged” guests. 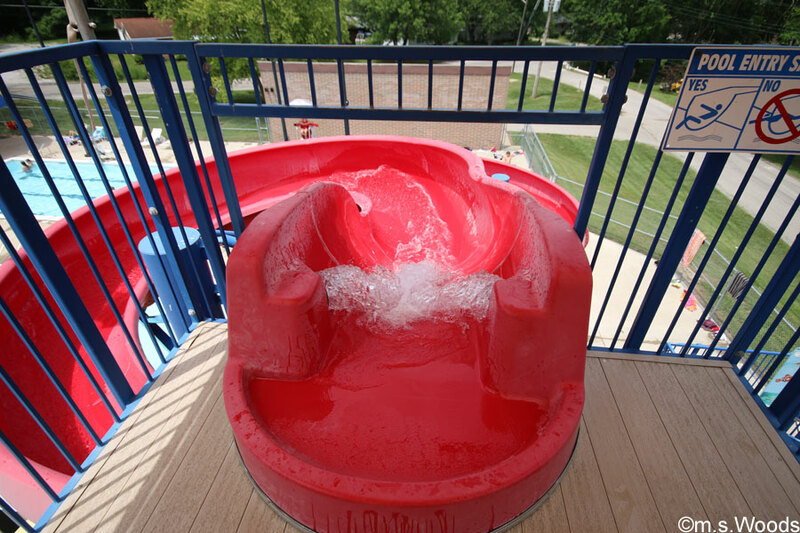 All together, the park offers over 120 feet of twisting waterslides, which make for loads of fun and excitement for the whole family. Danville is perhaps best known for its historic downtown area. The town was established in 1824, with the first non-Indian settlers moving to Danville in the 1820’s. 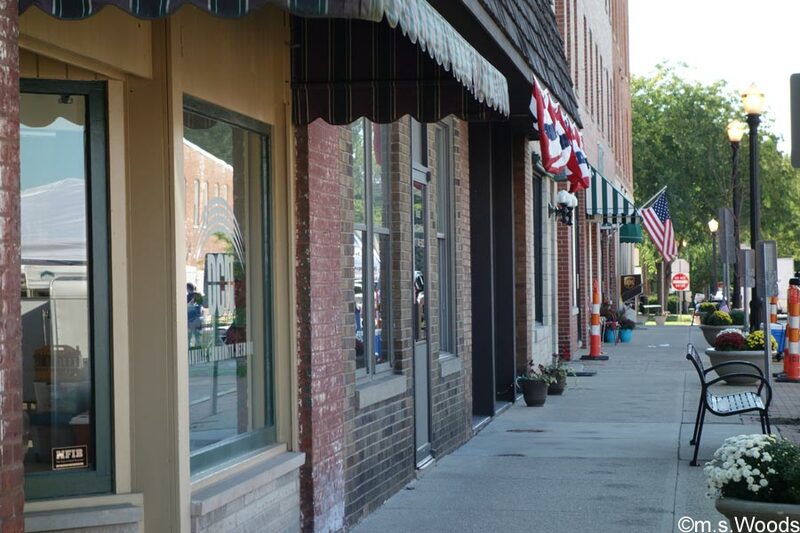 Several historic attractions make this one of the most popular small towns to visit in all of central Indiana. 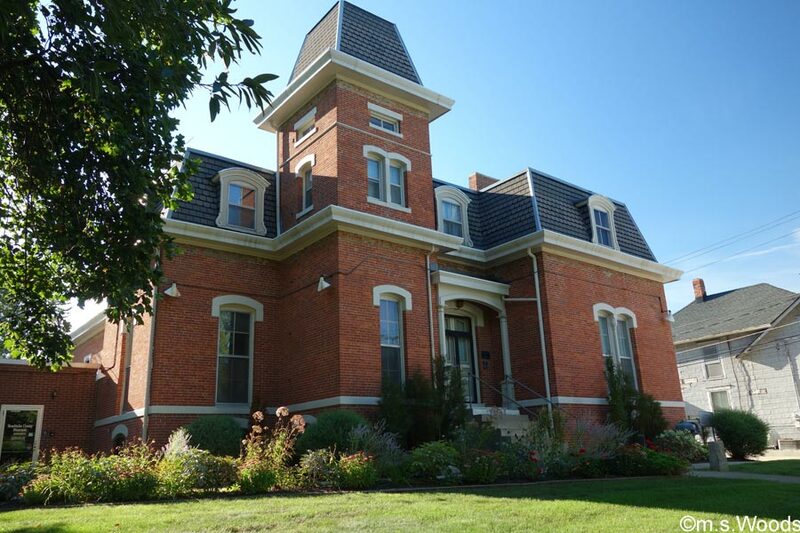 Located at 170 S Washington Street, the Hendricks County Historical Museum is located a former Sheriff’s house. 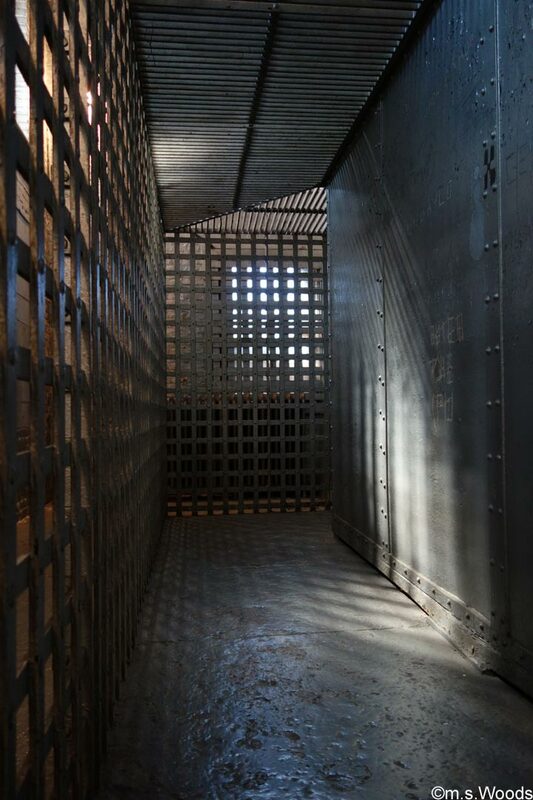 This former jailhouse was built in 1866 and served as the county jail until 1974. The building is listed on the National Register of Historic Places, and is often cited by architecture historians as the only surviving example of the Second Empire style of architecture in the county. The Second Empire style came into vogue as the nation recovered from the Civil War, and is known for certain defining elements, like a central tower and mansard roof. The museum has preserved many elements from daily life in the 1800s, like the antique rocking chair and end table featured above. An antique phone serves as a reminder of just how far the telecommunications industry has come since the early days of Alexander Graham Bell. To place a call, the user turned the crank on the right side, which generated electricity to connect to the operator. 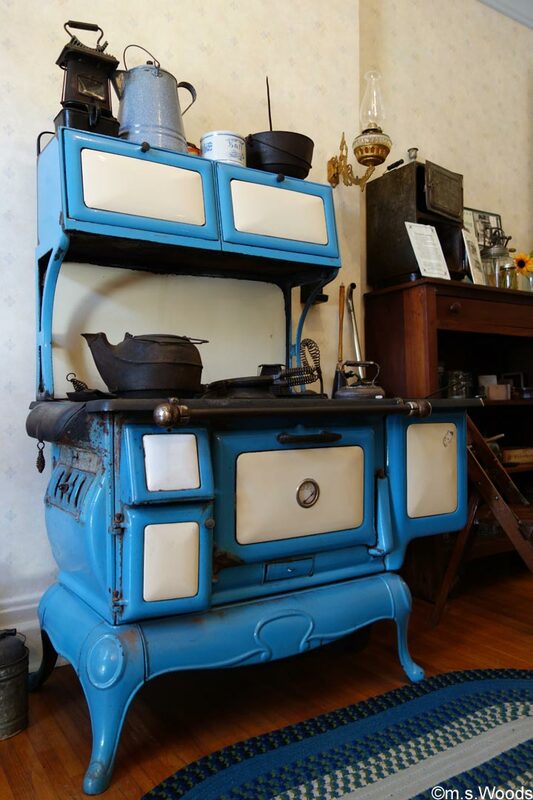 Atop a blue and white wood-burning cooking stove sits an antique version of a crock pot, along with a dry sink and several kitchen utensils. 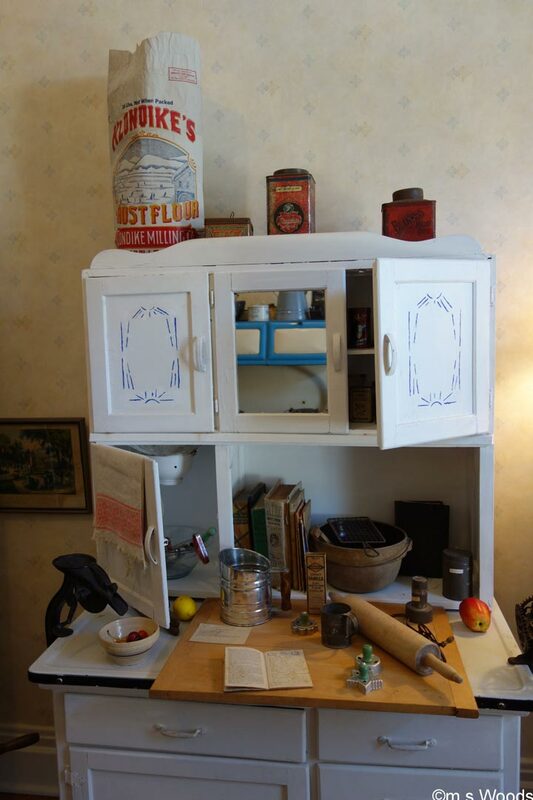 A kitchen cooking scene shows what life was like for so many of our great grand parents. 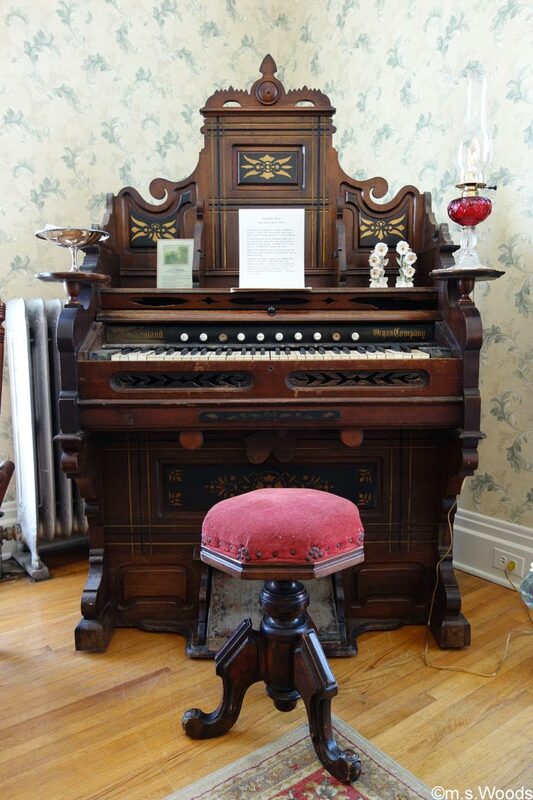 The Pump Organ, also known as a Reed Organ, sits the corner of the parlor room. It is a marvel of early 1900’s craftsmanship. 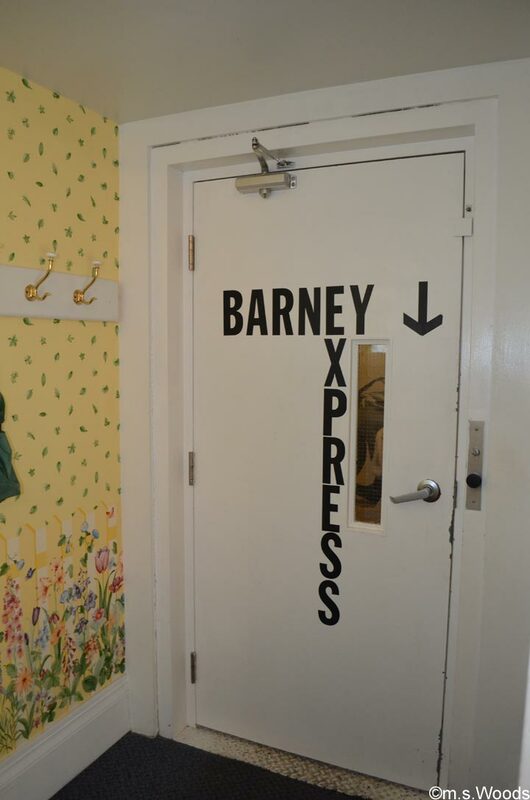 The parlor area was close from 2012-13, as several improvements were made, including the removal of 6 layers of old wall paper. 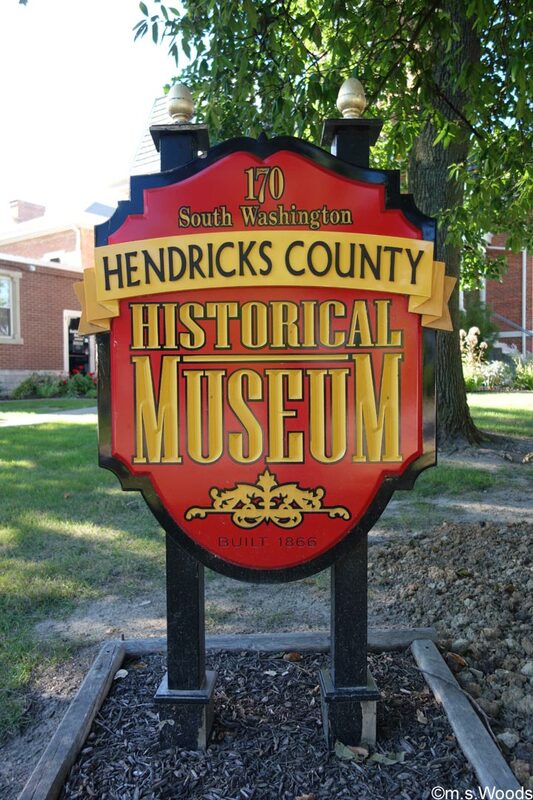 The Hendricks County Museum offers a rare glimpse into life as it was in the late 1800’s and early 1900’s. It’s a fun destination for the whole family, and just one of several historic attractions in downtown Danville. 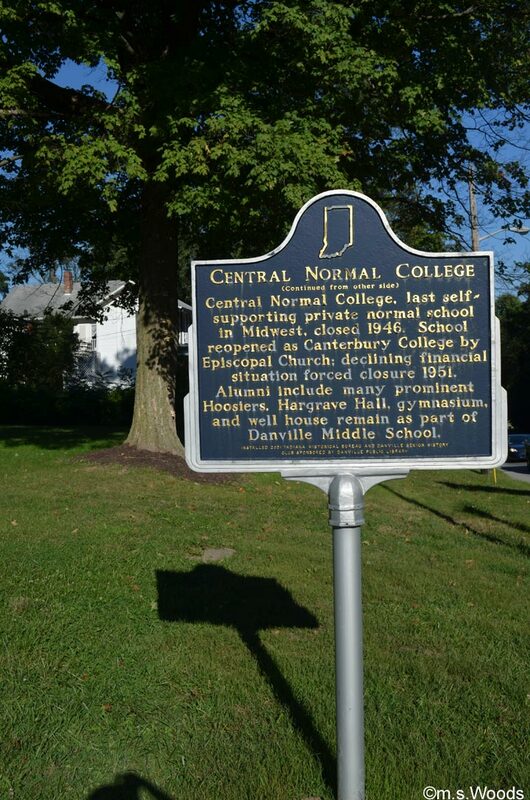 The Central Normal College which was founded in 1876, moved to Danville, Indiana in 1878. It was a part of the state-wide university system, and offered traditional college courses. The college was renamed Canterbury College in 1942, and continued as a teacher training institution until it closed closed in 1951 due to bankruptcy. Many of the Central Normal and Canterbury College artifacts have been preserved digitally, and are available online. The school is currently used for Ivy Tech classes in conjunction with Danville Community High School and is referred to as Central Normal Campus. 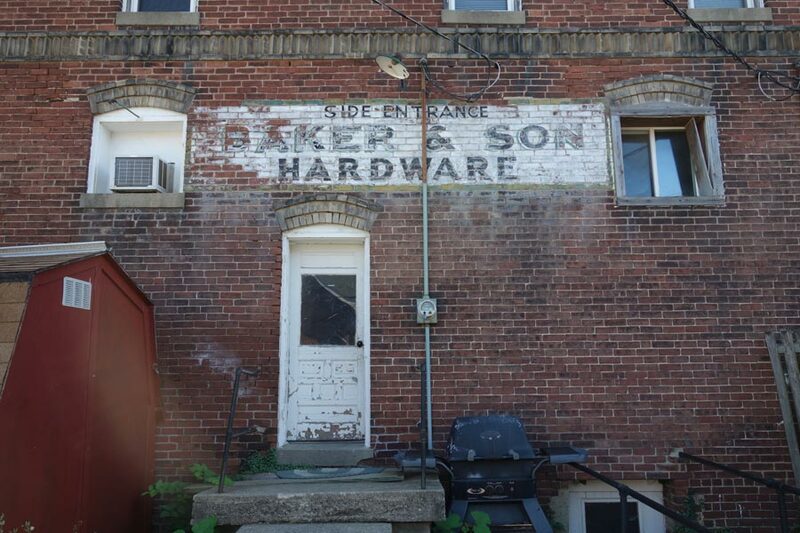 An old painted sign that reads, “Side Entrance Baker & Son Hardware” on a brick wall harkens to a simpler time in the town’s past. 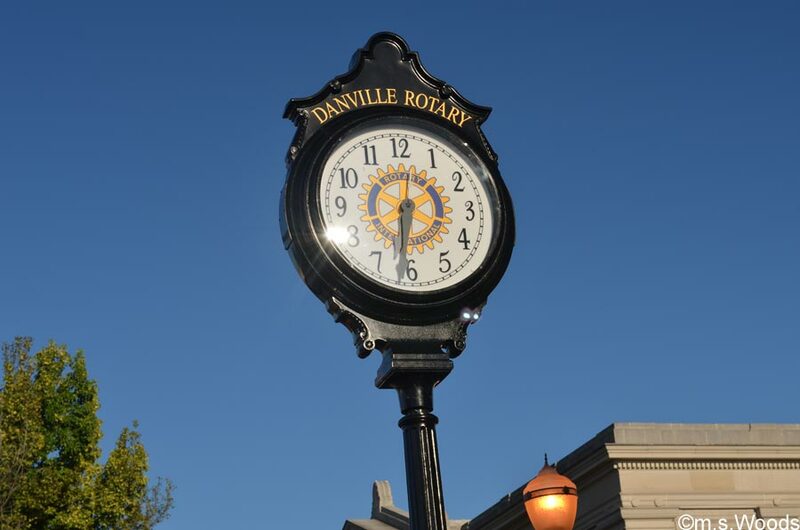 The Danville Rotary Clock stands as a testament to a much earlier time in Danville’s history, when some 50 retail, service and professional establishments called downtown Danville home. The Rotary came to Danville in 1957 with the goal of bettering the community in which they worked and lived. 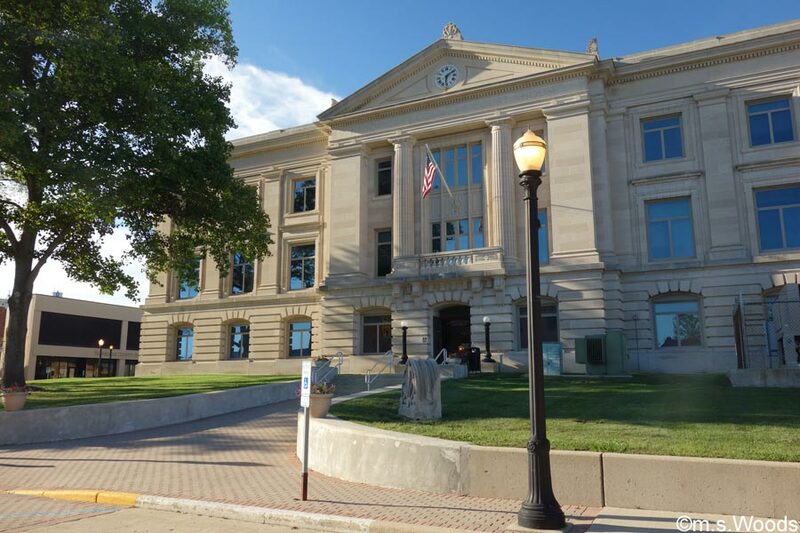 The centerpiece of downtown Danville is a beautiful, Neoclassical style courthouse made of Indiana Limestone. The building features Doric columns, stained glass, and a remarkable level of hand-crafted detail. Danville’s Courthouse Square Historic District made the National Register of Historic Places on December 27, 2010. 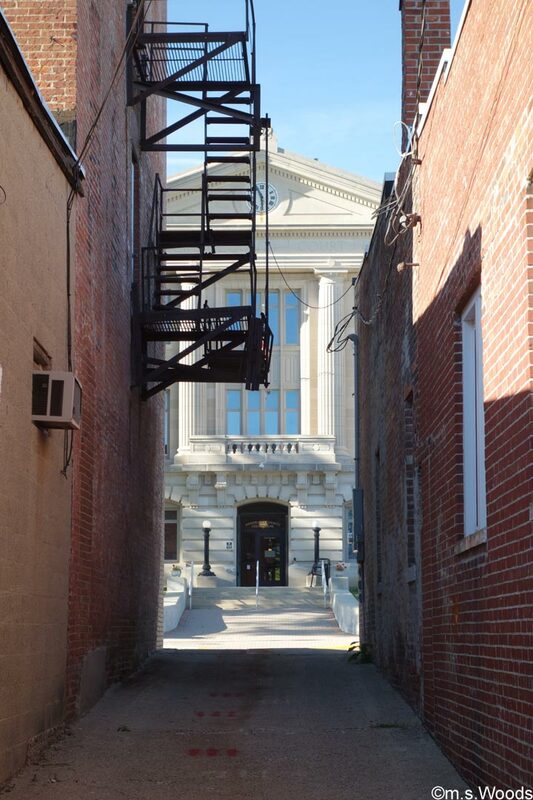 The imposing building serves as an anchor of downtown Danville. Located at 180 West Main Street is the Danville Christian Church. This beautiful building is roughly 100 years old, and features Neoclassical columns, overhanging eves, supported by decorative corbels, and a beautiful brick facade. 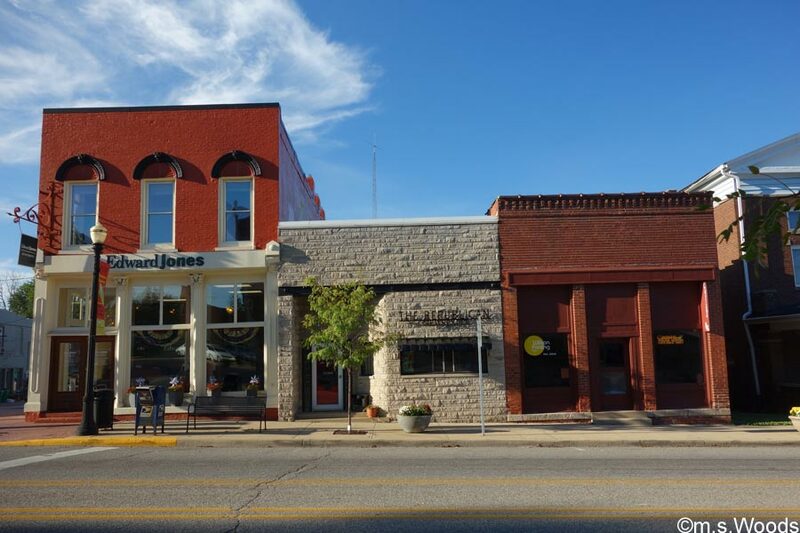 While several buildings in downtown Danville have been updated in subtle ways down through the years, the area retains much of its historic charm. 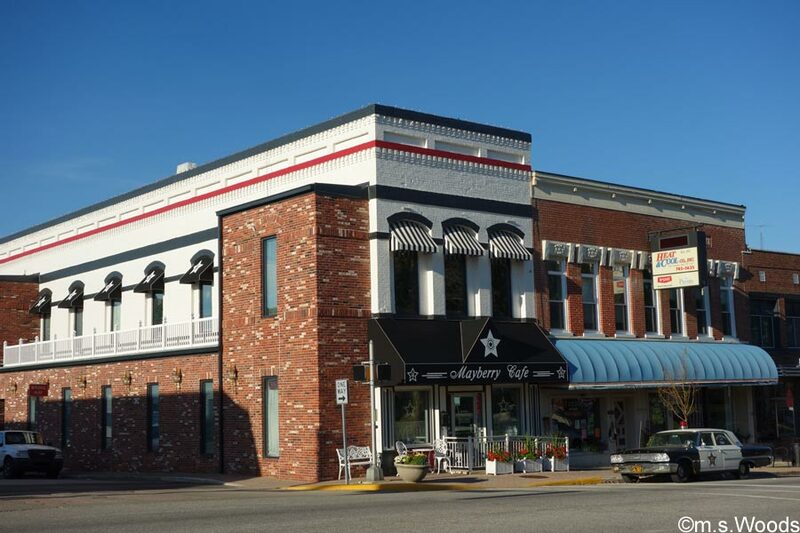 Downtown Danville offers a glimpse into small-town life as it was many decades ago, as the old buildings that dot the streets were built in the 20th century. 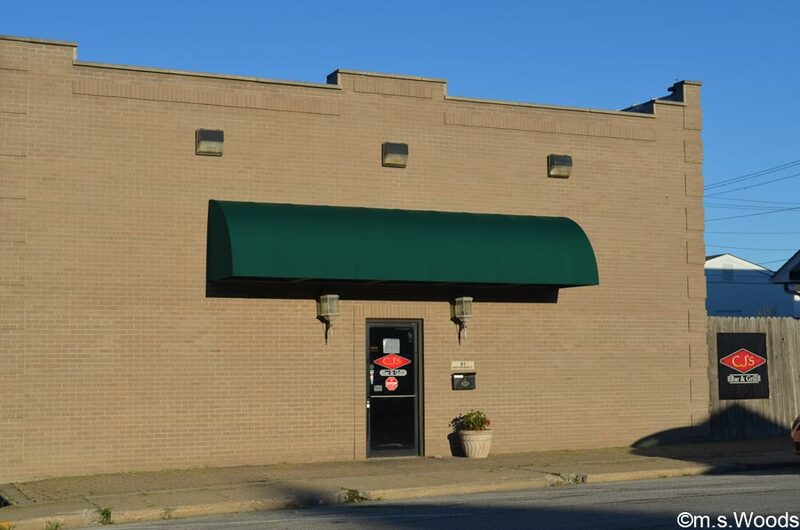 CJ’s Bar & Grill is located at 8 West Main Street in Danville. This downtown establishment offers a variety of pub food, like burgers, sandwiches and subs, and also offers live music, karaoke, and serves alcohol. 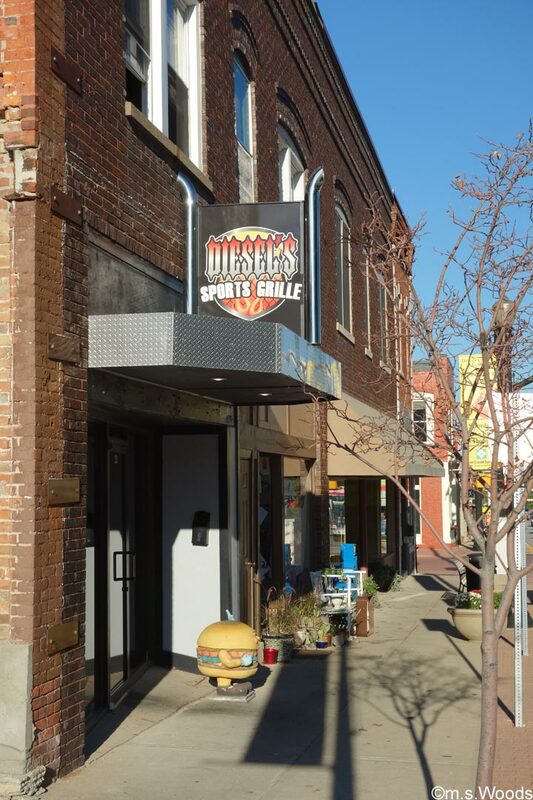 Located at 20 W Main Street in Danville, just down the street from the Mayberry Cafe is Diesel’s Sports Grille. This downtown establishment is half bar, half restaurant. 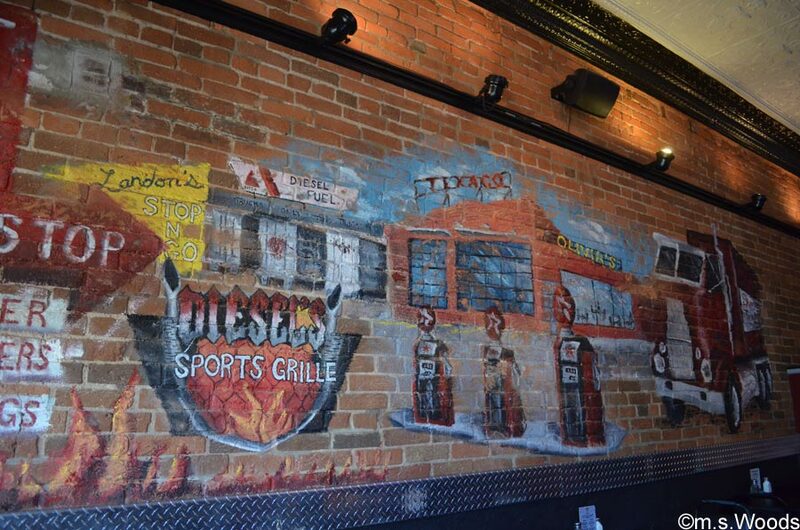 Inside, the exposed brick walls are covered with colorful murals, which convey a truck stop theme. 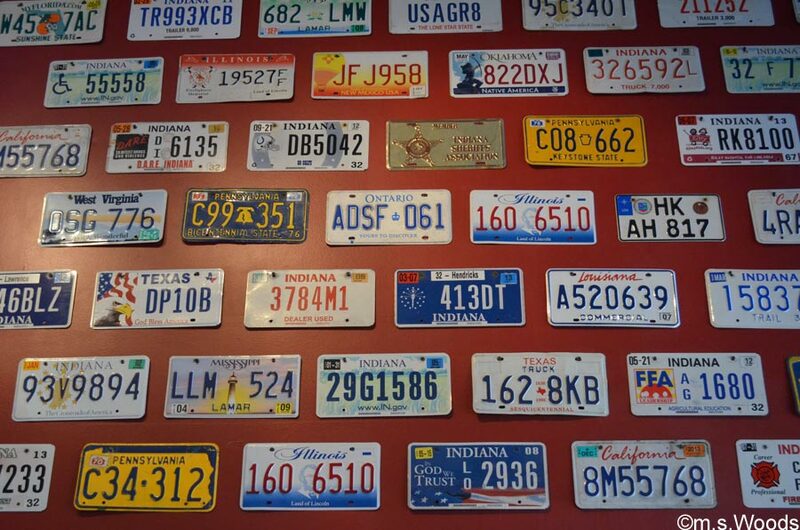 A wall, plastered with license plates, really ‘drives’ the truck stop theme home. 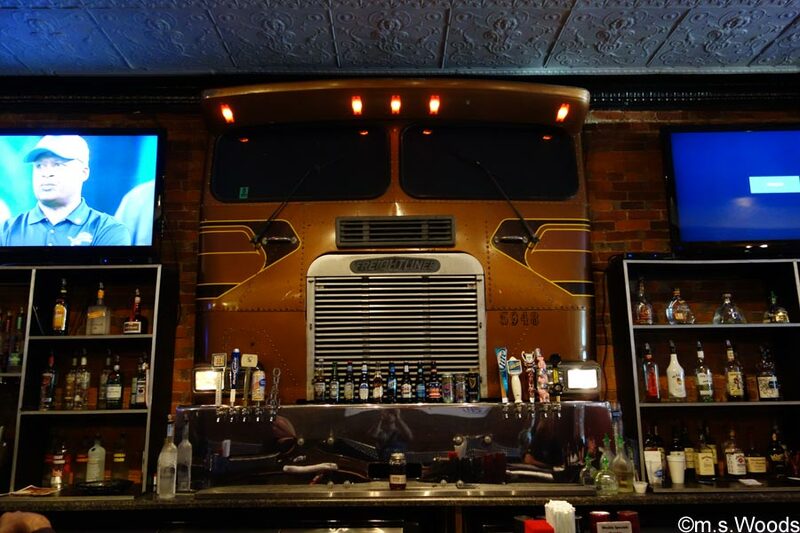 The bar area features the front end of a Freightliner semi-tractor as its facade. This place offers an interesting atmosphere. Many people swear the hot wings are to die for. 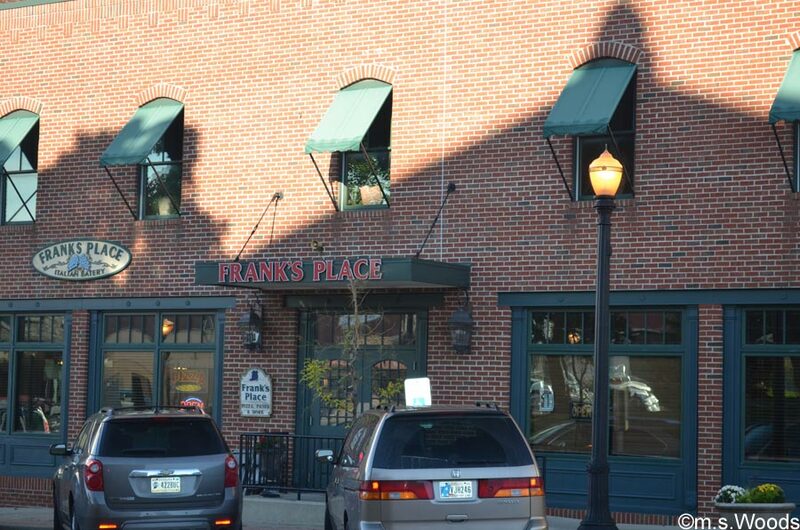 Frank’s Place is located at 33 S. Washington Street in downtown Danville, on the east side of Danville’s historic Courthouse Square. 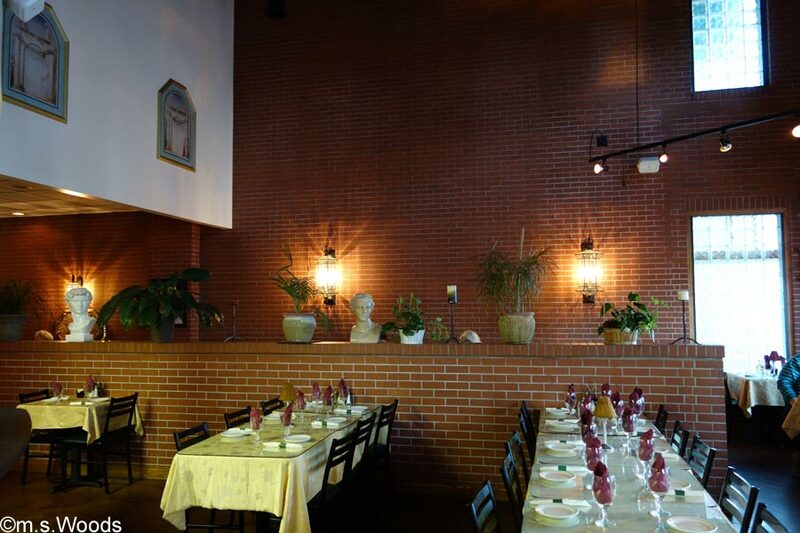 This is an Italian restaurant that serves pizza, pasta and a variety of wines. Franks was established in 1999 by Frank Russo, who immigrated to the United States in 1972. Frank is joined by his wife, Brigette Russo, their two sons and their nephew. The menu features a variety of “continental” dishes from Italy, including a few favorites from Frank’s native island of Sicily. 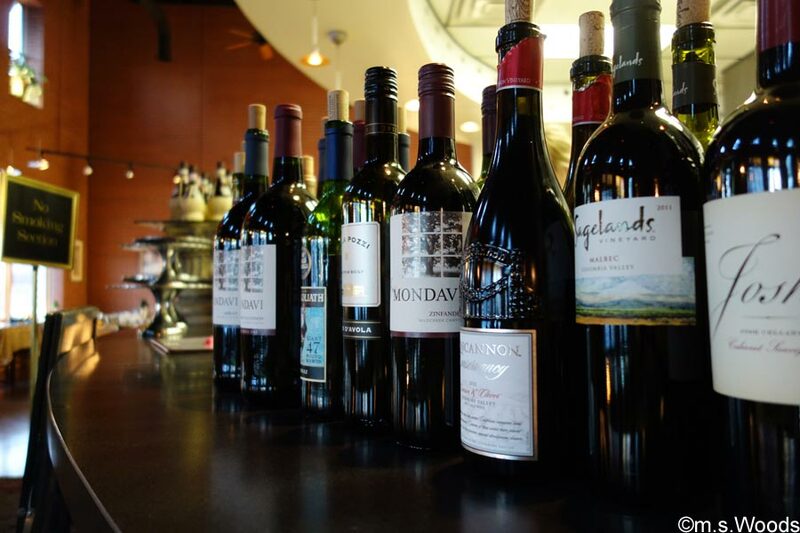 They offer a decent variety of wines, including such recognized labels as Robert Mondavi and Villa Pozzi. The beer selection consists of popular brands like Honey Brown, Budweiser, Bud Light, Michelob Ultra, etc. 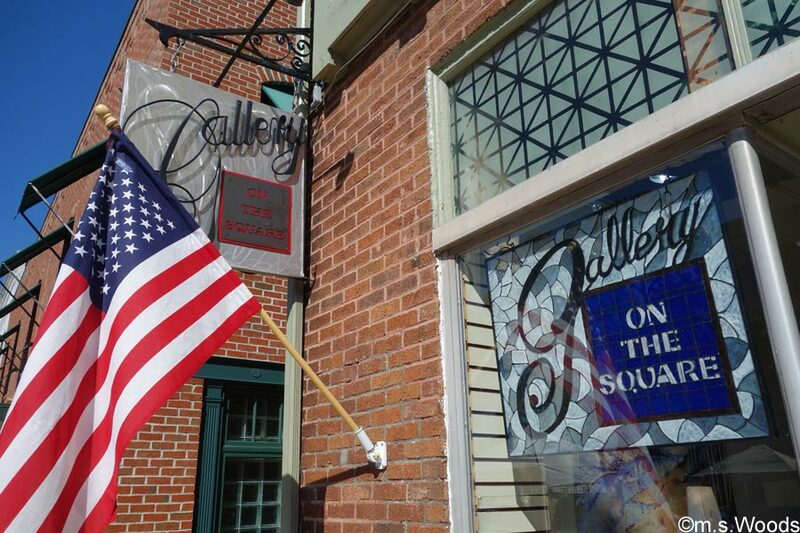 Gallery on the Square is located at 51 S Washington Street in downtown Danville. This is an interesting little gallery, with a lot to see. A variety of media are represented, including jewelry, ceramics, painting, photography, woodwork, textiles and even stained glass. 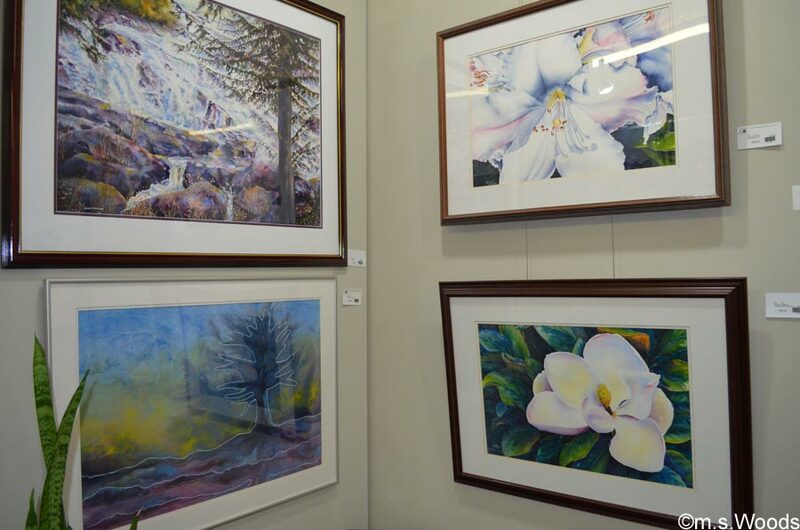 Prints and paintings by local artists are available for purchase. 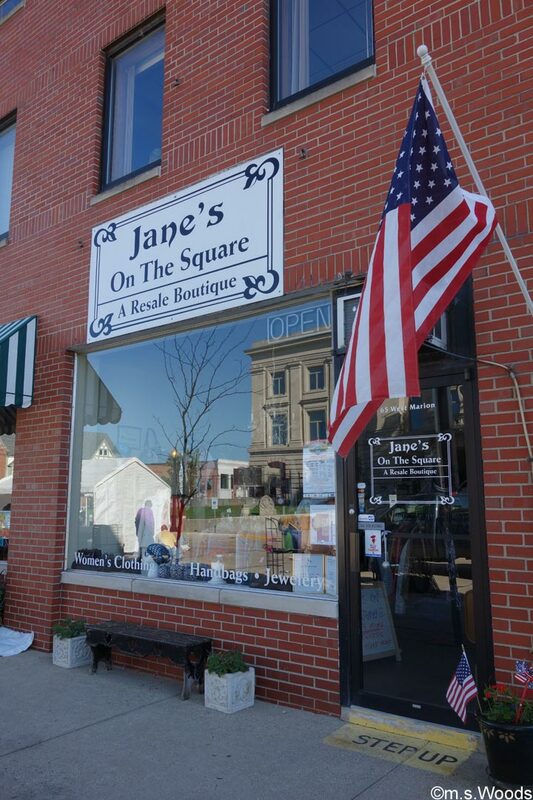 Jane’s on the Square Boutique is located at 65 W Marion Street in downtown Danville. 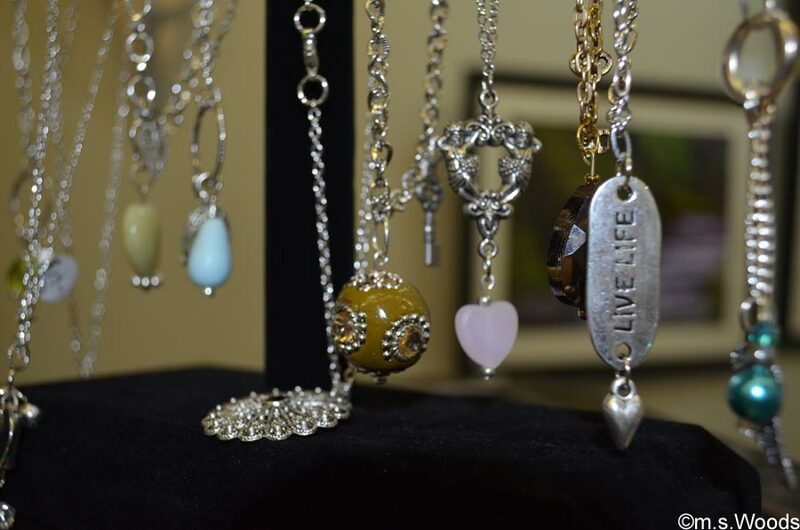 This small resale boutique sells items for women and juniors, plus designer and name brand clothing and accessories, hand made jewelry, knit wear, greeting cards, candles and hand painted purses. The decor inside features wood flooring and even a tin ceiling. This is a nice, independent establishment that offers oodles of character. 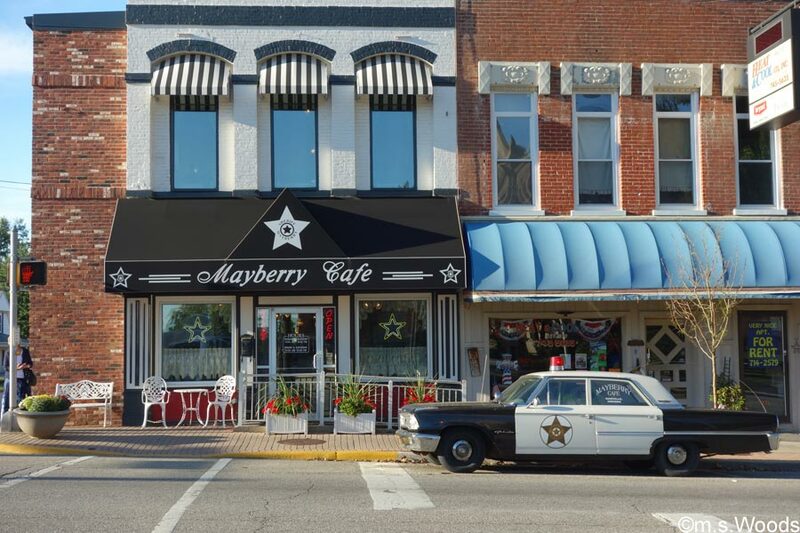 Located at 78 W Main Street in downtown Danville, Mayberry Cafe is perhaps the most identifiable establishment in downtown Danville, thanks in large part to the old-school 50’s police cruiser which is always parked out front. 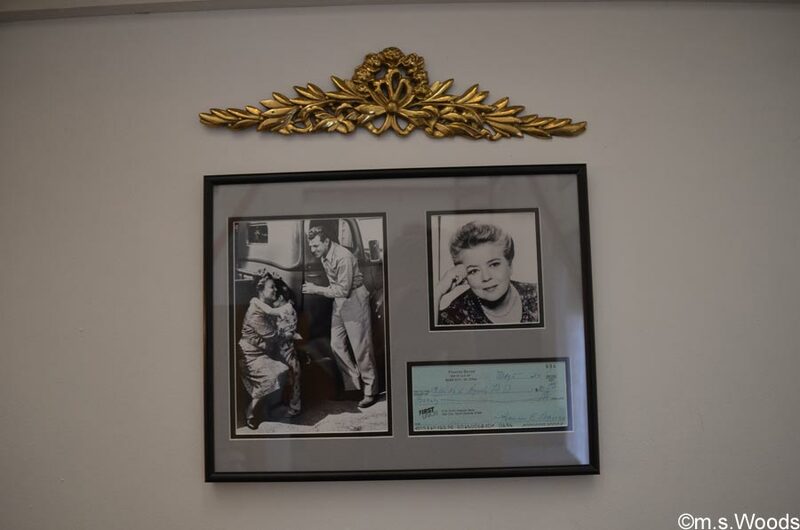 Inside, the walls are covered with photos depicting scenes from the Andy Griffith Show. And all the TVs play the show non-stop. 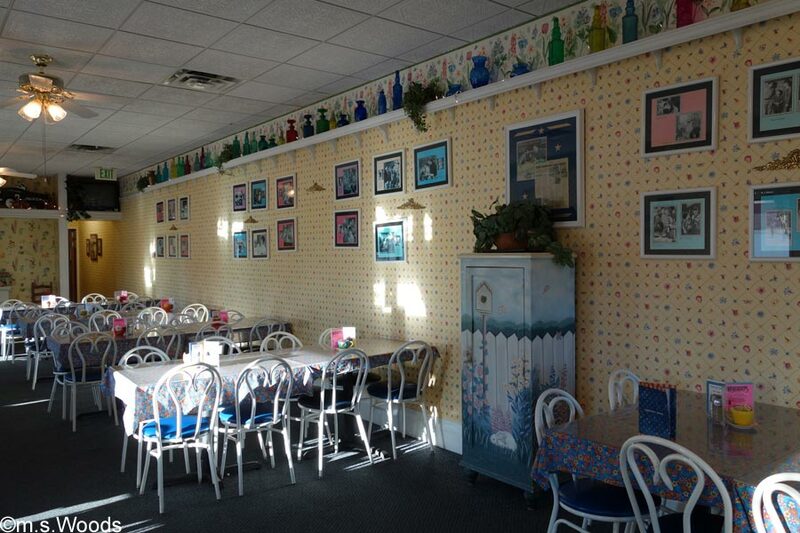 This is a great place to try based solely on atmosphere and nostalgia. 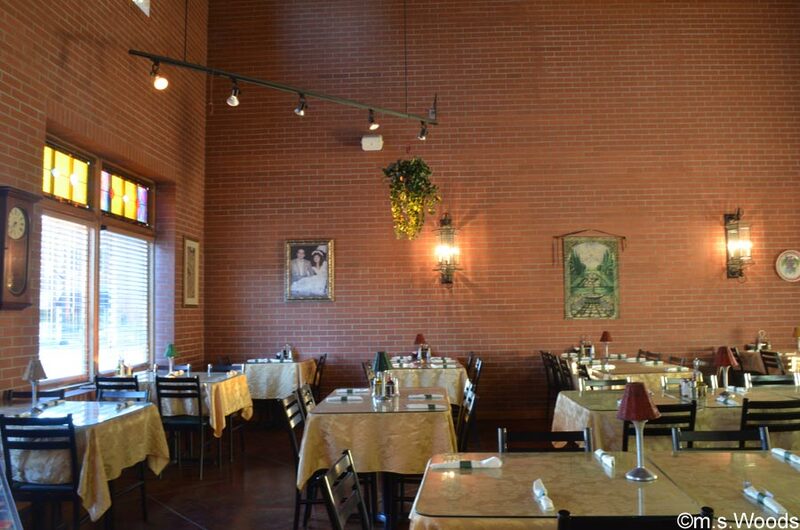 Owners Brad and Christine Borne opened the Mayberry Cafe in 1992 as a family restaurant. The menu offers traditional American food, like steak, mashed potatoes, soups, fried chicken, apple pie and other deserts. For anyone who appreciates the nostalgia of the The Andy Griffith Show, the Mayberry Cafe is a must-see. Fair on the Square is an annual festival that has become one of the most popular events in all of Hendricks county over the past 15 years. 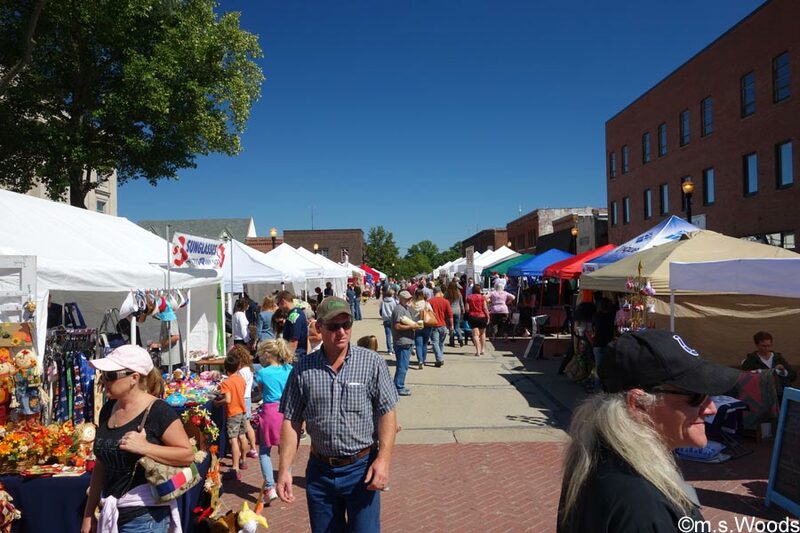 Each year, in early September, over 100 vendors converge on the Hendricks County Courthouse Square in downtown Danville. Live entertainment is part of what makes this such a festive affair. There are always several different live bands scheduled to perform throughout the weekend. 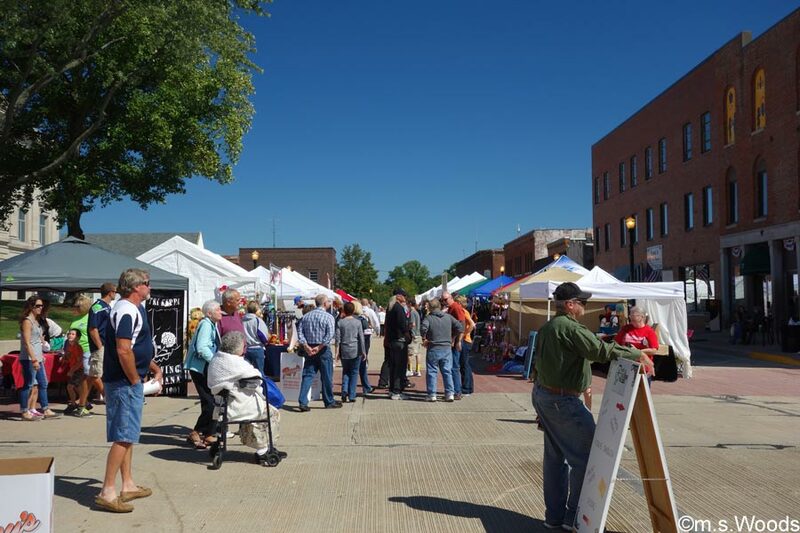 Vendors offer everything from food and drink, woodcarvings and crafts to jewelry, antiques and even Tupperware. 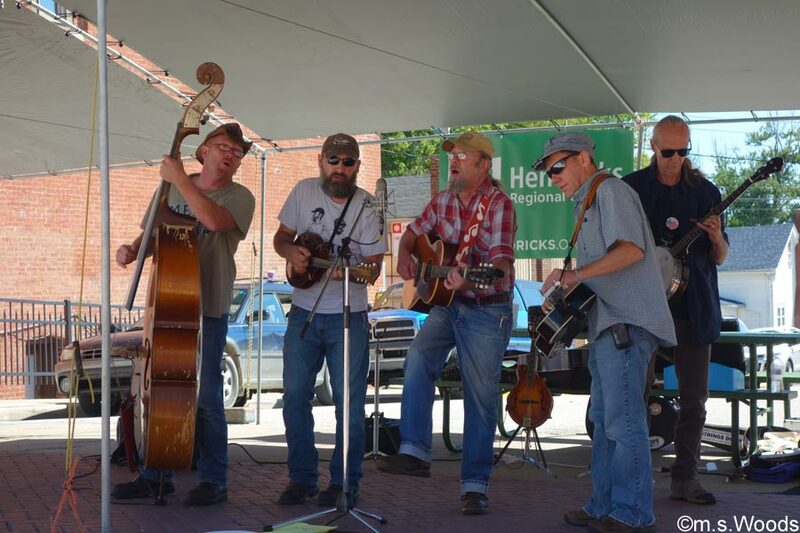 Each year, in mid-May, the 3-day Mayberry in the Midwest festival celebrates all things Mayberry. 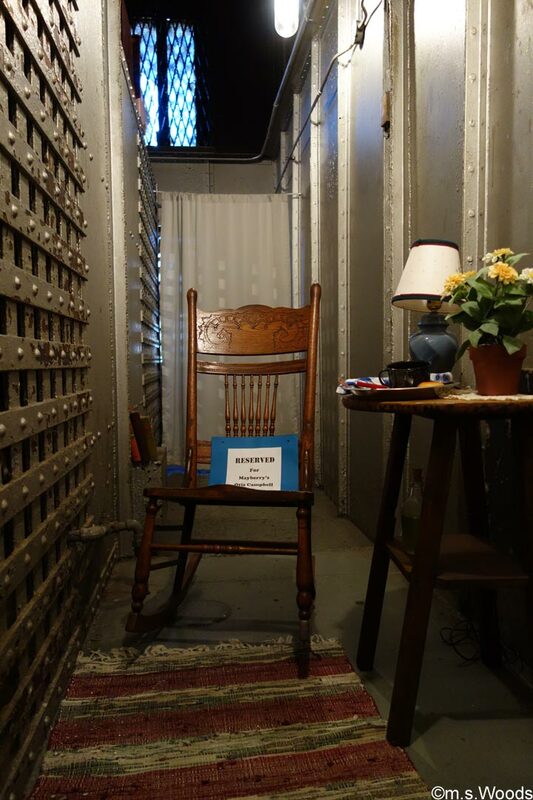 This event is centered around the historic Hendricks County Courthouse. Celebrity guests who played on The Andy Griffith Show are known to attend. Various nationally recognized Tribute Artists also regularly performing together on stage both days. The festival weekend kicks-off with a a pancake breakfast on a Saturday. There are Opie Taylor’s look-alike contests and many other fun activities. Stopping by the Mayberry Cafe is a popular activity. A variety of arts and crafts vendors typically attend the festival, as do many food vendors. 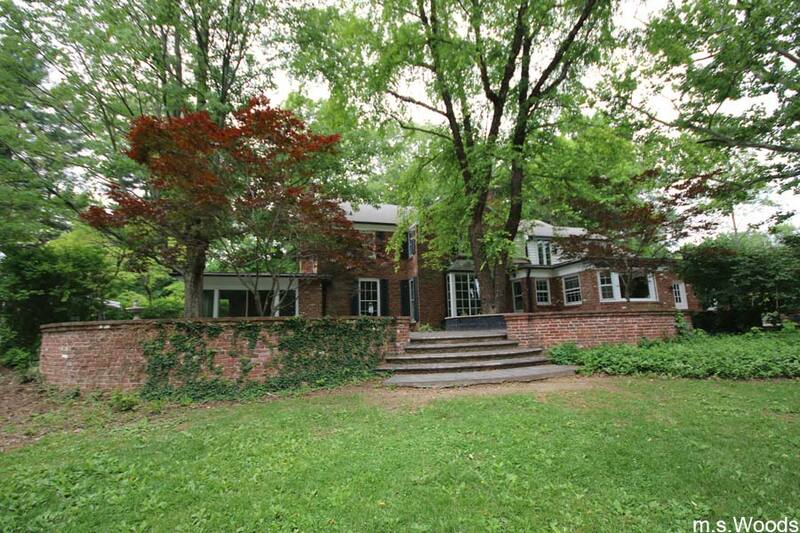 Here are a few examples of high-end properties currently for sale on the Danville real estate market. 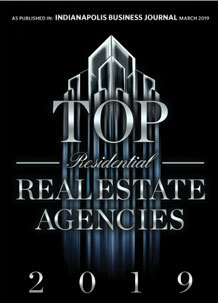 You can search and browse all Danville listings here.